On 11 October 2010, the Federal Public Prosecutor General initiated a monitoring and verification procedure in response to press reports about a military operation involving the deployment of an aerial drone 1 on 4 October 2010 in North Waziristan/Pakistan, in which German citizens, amongst others, were alleged to have been killed. […] The reports received […] confirmed that B.E., a German citizen from the town of Wuppertal […] had in fact died during said military operation. […] On 5 May 2011, at the request of the Federal Public Prosecutor General, the Federal Foreign Office […] forwarded its own findings concerning the situation in the Pakistani-Afghan border region. […] By way of gaining insight into the circumstances and purpose of the trip to, and sojourn in, Pakistan on the part of B.E. (the man killed), the case file on record regarding the investigation proceedings against his older brother E.E. […] with the Federal Public Prosecutor General’s Office was likewise consulted. In these proceedings, the Federal Public Prosecutor General had filed charges on 14 January 2013 on the grounds of membership in a foreign terrorist organisation, inter alia […]. The incident in question occurred in the North Waziristan region of Pakistan, one of the six “Agencies” making up the so-called “Federally Administered Tribal Areas” (FATAs). For historical reasons, the FATA region enjoys a special constitutional status within Pakistan; over time, this has led to largely autonomous self-government by the local Pashtun tribes forming the majority of the local population. For decades now, the troops of the Pakistani government have maintained only a scattered presence in the FATAs, and are thus not in a position to comprehensively exercise and enforce governmental sovereignty. After US and allied forces overthrew the de-facto regime of the Afghan Taliban in November 2001, the Pakistani border region became the most important haven and staging area for Islamist militants fleeing from neighbouring Western Afghanistan […]. At the same time, radical Islamic political parties and religious fundamentalist groups based in this region were able to mobilise thousands of recruits to fight the foreign military presence in Afghanistan. As cross-border attacks by militant groups against the international troops stationed in Afghanistan intensified, the United States began to put increasing pressure on the Pakistani government to move against the insurgents in the FATAs. The Pakistani military responded by stationing between 70,000 and 80,000 regular and paramilitary troops in the FATAs in 2002, but failed to achieve any decisive results. In fact, the militant groups began to extend their activities into the Pakistani heartland, increasingly targeting the Pakistani government itself […]. […] [T]he most important tool deployed by the US in the fight against insurgents in Pakistan turned out to be the unmanned aerial vehicles known as “combat drones,” specifically the Reaper and Predator series. […] One multi-year study concludes that a total of 259 aerial drone operations were carried out during the period from January 2009 until December 2011, and that these resulted in 1,900 deaths. The bulk of these aerial drone deployments targeted leading members of the Taliban, Al-Qaeda, the Haqqani network, and the Islamic Movement of Uzbekistan (IMU)/Islamic Jihad Union (IJU) […]. The non-state, armed factions operating in the FATA region differ from one another mostly in terms of their key objectives. Thus, while certain factions primarily are fighting government and ISAF forces in Afghanistan […], other factions are targeting their attacks mainly against the Pakistani state within the confines of its sovereign territory. […] [What] transnational terrorist organisations have in common is their opposition to the presence of US and ISAF troops in Afghanistan […]. iv. The other foreign groups that have operated in the FATAs and continue to do so include the Islamic Movement of Uzbekistan (IMU) and its 2002 spin-off, the Islamic Jihad Union (IJU). The IMU’s strongest presence has been in South Waziristan, while the IJU – at least as far as 2009 is concerned – had its headquarters in the hamlet of Mir Ali in North Waziristan (the location relevant to the case at hand), whence it maintained close ties to both the Haqqani network and members of Al Qaeda. […] In 2008, as part of a process of growing “internationalisation,” the IMU opened its ranks to foreign Jihadis, with its recruitment efforts focusing particularly on Germans. […] The members of the so-called “Sauerland Group,” who were arrested in Germany in 2007, had been trained at an IJU training camp in North Waziristan. i. [T]he Pakistani government gradually increased its military footprint in the FATAs, but was unable to secure the sovereignty of the central government in this part of its territory […]. ii. By virtue of Resolution number 1386 dated 20 December 2001, the UN Security Council set up an International Security Assistance Force (ISAF), whose mission was to support the elected government of Afghanistan in creating and maintaining a secure environment in the country. […] ISAF’s mandate is based on Chapter VII of the UN Charter […]. With 68,000 troops, the United States currently provides the biggest single contingent of the ISAF force in Afghanistan. The German armed forces […] also participate in the ISAF mission with 4,400 armed troops as well as reconnaissance aircraft. iii. During the period relevant to the present report, US combat drones were deployed over Pakistan’s sovereign territory with the tacit consent of the Pakistani government and military leadership. This conclusion is borne out by the official reactions by the Pakistani government to various military operations carried out in Pakistan by the United States. Thus, an examination of the various communiqués […] allows the conclusion to be drawn that the Pakistanis were often secretly involved […] and that said official statements consistently drew a clear distinction as to whether a given operation had killed solely foreign insurgents inimical to the state, members of other groups, or in fact members of the Pakistani armed forces. Thus, the US’ deployment of aerial drones from 2008 to 2010 […] generally failed to trigger any real sanctions other than notes verbales issued in protest […]. On 4 October 2010, around 7:30 PM local time, an aerial drone fired a rocket at a building in the town of Mir Ali (North Waziristan); eleven people were present in the building at the time. As a result, five persons lost their lives: Two of them, B.E. and S.D.S. (an Iranian citizen) were known by name, while the other three were unidentified Pashtun natives. At the time of the strike, the group of persons killed were located in a corner of the roofless inner courtyard of the building. The rocket’s impact blew a crater into that part of the courtyard and tore the plaster from the surrounding walls […]. Also damaged were the roof of the nearby main entrance to the house as well as the metal entrance door. B.E.’s older brother E.E., who was in another corner of the inner courtyard at the time, was thrown to the ground by the explosion’s shock wave, but was not injured. E.E.’s pregnant wife C.A. and her young child by E.E. were in an interior room of the house walled-off from the courtyard, while S.S., the wife of S.D.S. (likewise pregnant), was in another such room; they, too, remained physically unharmed […]. Located in yet another room of the house was a leading member of the Tahrik-e Taliban (TTP) by the name of Q.H., as well as a member of Al Qaeda by the name of M. al B. Both of these individuals were able to leave the premises after the strike, apparently unharmed. The building, which belonged to a well-to-do native and which had been occupied by E.E. and his family up to this point, was later torn down. In late July 2010, B.E. left Germany, headed for the Pakistan/Afghan border […]. On 19 August 2010, he reached the town of Mir Ali, where his brother E.E. was living with his family, having left Germany already in April of 2010. B.E.’s departure from Germany had occurred in the context of intense psychological pressure from his brother […]. During his stay in North Waziristan, B.E. joined a number of insurgent groups in succession. At first he belonged to a group known as the “German Mujahhedin,” and later to the Pakistani Taliban; by mid-September, however, he was involved with Al Qaeda […]. During this period, B.E. was provided with a Kalashnikov rifle […]; he participated in combat training and was taught how to handle weapons. With respect to the potential occurrence of crimes governed by the Code of Crimes Against International Law (VStGB), the applicability of German criminal law to the incident in question results from the principle of universal jurisdiction addressed by section 1 of the Code of Crimes Against International Law […]. The term “armed conflict,” which is not explicitly defined in the Geneva Conventions, relates solely to the actual facts on the ground and is independent of any declarations (of war) […]. Rather, the key precondition is the objective existence of a dispute of a certain intensity and duration, in which both parties to the conflict resort to force of arms. In view of the increasingly significant role of non-state actors in armed conflicts, the fundamental ability of non-state groups to become party to an armed conflict is undisputed. In this context, it is of no importance that most of the military actions of such groups take the form of terrorist attacks. […] Thus, terrorist attacks may well exceed the threshold separating them from armed conflicts insofar as their intensity represents a massive and systematic use of force, and insofar as they can be attributed to one of the parties of the conflict. On the other hand, the concept of an armed conflict involving non-state groups must be distinguished from common and usual crimes, unorganised and short-lived uprisings, or isolated terrorist activities. Thus, besides a certain intensity and duration of the armed conflict, an additional precondition is a minimum degree of organisation on the part of the parties to the conflict, one that allows them to plan and carry out sustained and focused military operations on the basis of military discipline and factual authority. Features recognised as possible indicators for this include the existence of a headquarters or the ability to recruit, train, and arm own fighters. The participation in the military conflict in the FATAs by various governmental armed forces […] and various organised insurgent groups […], each with their own objectives, is the outward manifestation of a multi-layered matrix of alliances and enmities, which is why the situation addressed in the present report must be described as a conflict situation made up of several, overlapping individual conflicts or conflictual relations. For example, the Afghan Taliban’s use of the FATA region as a haven and staging area has evidently caused the Afghan conflict to “spill over” onto this particular part of Pakistan’s national territory. On the other hand, the Pakistani Government – with support from the US […] – is combating insurgent Taliban groups (e.g. the TTP) and their allies on its sovereign territory, if only to protect its own interests, frequently mounting its own cross-border operations. Each of these differing sets of conflictual relations represents a separate “armed conflict” within the meaning of international humanitarian law. If one applies the benchmarks set out above in Clause (a), then not only the government forces but also all the resistance groups operating in the FATAs (including Al Qaeda) qualify as parties to an internal Pakistani armed conflict from the standpoint of international law. The attacks and military operations mounted by the parties to the conflict exhibit a high degree of organisation and sufficient capacities […]. A determination that an armed conflict exists will be valid only where it is made with respect to a specific territorial extent and duration of time. Thus, the present analysis is limited exclusively to the situation given in the Pakistani FATA region during the years 2009 and 2010; its determinations regarding armed conflict, as well as the associated legal ramifications, are made exclusively within this framework. In the case at hand, it is neither appropriate nor necessary to take recourse in any way to the “War on Terror” doctrine developed by then-US President George W. Bush, a doctrine which holds that the United States is engaged in a “global war on terror” and that the rules of armed conflict therefore apply to any and all anti-terror operations without any territorial limitation whatsoever. The thinking behind this doctrine is in any case open to the objection that such a blanket justification for acts of war contravenes the underlying spirit of international humanitarian law, namely to place the maximum possible constraints on war per se, as well as on the methods by which it is waged and on the populations which it impacts. […] Based on international law as it currently stands, the application of the international laws of war, with their special prohibitions and empowerments, continues to be limited in territorial scope to actual theatres of war only. The military deployment of the aerial drone in question served the targeted suppression of members of insurgent groups that had taken root in North Waziristan and thus did not occur merely on the occasion of combat. Given this functional context, the military operation in question occurred in connection with the identified armed conflict. Pursuant to Article 49 paragraph 1 of Additional Protocol I to the Geneva Conventions – whose definition of attack is also applicable, by virtue of customary international law […] – the term “attack” is to be understood as an offensive or defensive use of force against the adversary. Thus, firing a warhead-armed rocket at a building from an aerial drone in order to kill or injure persons inside qualifies as such as use of force with military means. The penal statute of section 11 (1) first sentence number 1 of the Code of Crimes Against International Law (VStGB) only covers attacks carried out in a targeted manner against the civilian population or against individual civilians. Attacks launched against combatants, enemy fighters, or military targets are not covered by this definition of a crime, regardless of whether so-called “civilian collateral damage” occurred or not. S.D.S., for his part, was also a member of an organised armed group – in this case, the IMU and/or Al Qaeda – and likewise exercised a continuous combat function. According to a statement made in a message videotaped in the autumn of 2009, he had already taken active part in combat operations against the Pakistani army. His later affiliation with Al Qaeda was still ongoing at the time of the incident in question. Just a few months before his death, he had been selected for as-yet-unspecified Al Qaeda operations in Europe; as an evidently trusted person, moreover, he was present at the meeting of high-ranking representatives of the insurgent groups on the evening of 4 October 2010. The other persons killed, i.e. the Pakistani nationals whose names are unknown, were bodyguards and/or protective escorts of the high-ranking TTP representative Q.H. In view of their function, they, too, were not civilians but members of an organised armed group. Even in the event that the aerial drone deployment was targeted against one or several of the male survivors, this would still not constitute an attack on civilians. Both Q.H. (in his capacity as a leader of the TTP) as well as M.al-B. and E.E. (as members of Al Qaeda) were members or special officers of their respective organisations; as such, they were legitimate military targets for the adverse party to the conflict. There are no indications whatsoever to suppose that the attack was directed against the women located in the closed-off rooms of the building. Also if the “principle of military necessity” is applied, the conclusion reached is the same. According to this principle, the degree and scope of military force used should not exceed what is necessary to achieve the intended military goal. In the case of targeted, deadly force, this could mean that physical capture should take precedence over actual killing, so long as this would not generate additional risks for the military units involved or for the civilian population. However, this principle comes to bear mainly in scenarios in which the acting party to the conflict exercises effective territorial control over the territory in which the military operation occurs. Given that the region in question – the town of Mir Ali and its environs in North Waziristan – was not under the control of the Pakistani army or ISAF forces during the period in question, it would have been impossible to perform a military capture and arrest operation without a heightened risk for the soldiers involved or for the civilian population. A constituent element making an offence a war crime pursuant to section 11 (1) first sentence number 3 of the Code of Crimes Against International Law (VStGB) is that the perpetrator intends to attack a military target in the certain expectation that civilian deaths and/or damage to civilian property will occur to an extent disproportionate to any military advantage. In the case at hand, no persons qualifying as “civilians” under the laws of war were killed; thus, there are no grounds to conclude that the decision makers responsible for the aerial drone operation acted with any such direct intent. Destroying or damaging a house in which several enemy fighters are present at the time of an attack – regardless of whether the building qualifies as a “civilian object” or “military objective” – is in no way disproportionate to the military advantage gained from neutralising these enemy forces. This holds all the more true in the case at hand, given that the aerial drone deployment may well have prevented the planned suicide attack that was to be carried out with the participation of B.E. As presented above […], neither B.E. nor any of the other persons killed in the incident were civilians; each of them was in fact a member of an organised armed group. Thus, a military attack against such individuals by the adverse party to the conflict does not constitute a breach of the principle of distinction between civilians and combatants. b) Do aerial drone deployments raise special issues under international law? […] [I]nternational humanitarian law does not provide for any general prohibition against the deployment of aerial drones, nor does it call for aerial drone strikes to be evaluated based on a different legal benchmark relative to other types of combat operations. […] Based on the information available […] all aerial drone deployments in the Pakistani border regions […] are attributed to the sphere of responsibility of the US Central Intelligence Agency (CIA), while the armed forces are said to be responsible for corresponding deployments in Afghanistan. On the assumption that this information is accurate, then the fact that CIA operatives exercise operational responsibility for the aerial drone deployments, along with the fact that military markings may therefore have been omitted from the aerial vehicles, could conceivably mean that the drones deployed might no longer qualify as military aerial vehicles. Moreover, the aerial drones deployed in the airspace of the FATAs have an exclusively military function and are thus perceived by the adverse party to the conflict as part of the enemy’s “military machine.” Under these circumstances, any confusion between the drones and civilian aircraft can be ruled out. […] On the other hand, the fact that the crew steering the drones from remote bases may well wear visible national markings and/or military insignia is of no practical use whatsoever when it comes to distinguishing between civilians and combatants in the conflict theatre itself. It follows that the CIA operatives participating in the counter-insurgency campaign in Pakistan must be regarded as forming part of the “armed forces” of the United States within the meaning of Article 43 paragraph 1 of Additional Protocol I to the Geneva Conventions. Even if one were to assume that the intelligence operatives commanding and executing the aerial drone deployments are in fact “civilians” and not members of “armed forces” within the meaning of Article 43 paragraph 1 of Additional Protocol I […], this would not automatically mean that the combat operations of such persons were impermissible under international law. […] A civilian’s participation in hostilities will not constitute a breach of international humanitarian law, however, so long as he complies with the rules of war to which he is bound; this latter condition is met in the case at hand, given that the principle of distinction between combatants and civilians was being observed. In many cases, aerial drones deployments are carried out for the so-called “targeted killing” of previously identified and localised individuals. […] International humanitarian law does not provide for any general prohibition against the targeted killing of persons in an armed conflict. A much more important benchmark for the legal evaluation of any aerial drone deployment is whether the status of the person killed in each case is that of a legitimate military target or that of a protected civilian. The foregoing analysis, which is retrospective and limited to one particular case, must be clearly delineated from another highly contentious topic: what requirements should be imposed under international law, human rights law, and/or the constitutional law of the respective countries when it comes to creating and verifying lists of targeted persons during the selection and prioritisation phase? In his report of 28 May 2010, United Nations Special Rapporteur Philip Alston presented a number of “conclusions and recommendations” urging the relevant countries to promote greater transparency with respect to the legal framework serving as the basis for targeted killings and with respect to the procedural safeguards and other controls they have implemented to ensure that all measures remain strictly legal. In the opinion of the Rapporteur, the refusal by states to disclose their policies violates the framework of international humanitarian law to provide transparency in this regard. On the other hand, Alston’s report does not draw the conclusion that the lack of such transparency ipso facto makes all the targeted killings carried out thus far illicit under international humanitarian law – which would have implied individual liability to punishment under criminal law on the part of all participants in such killings. Rather, the UN Special Rapporteur takes the view that disclosing the rules and decisional bases for targeted killings is a pre-requisite for verifying the compliance of individual measures with international law in the first place, so that any suspected breaches can then be investigated and criminal charges brought as needed. 1. Who were B.E and E.E? What are the facts of the incident? 3. Why does the Prosecutor start by establishing whether or not there is an armed conflict? Is there a definition of armed conflict under IHL? How does the Prosecutor define it? 4. How many non-international armed conflicts existed in the FATA? In which circumstances may the fighting of several armed groups by considered as one single armed conflict? Do you agree with the reasoning of the Prosecutor? Does it matter whether there was one or whether there were several non-international armed conflicts? Does your answer to the above remain the same in light of the Prosecutor’s considerations in para. D (II) (1) (b) (iv)? 5. (Para. 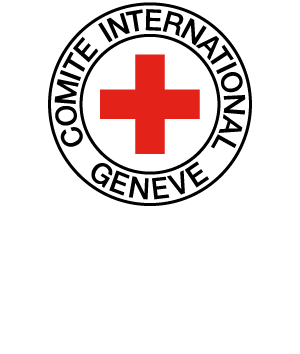 I (2) (b)) Is consent relevant to classifying conflicts under IHL? How? 6. What is the geographic scope of application of IHL of international armed conflicts? Of non-international armed conflicts? Is it possible for a non-international armed conflict to occur only in some parts of a State’s territory? Can a non- international armed conflict spill over the boundaries of a State’s territory? How does IHL apply in these two scenarios? 7. (Para. B (2) (a)) Does the description of the activities of the different groups involved in the fighting matter for the classification of the conflict? Was it necessary or sufficient to describe only the activities of the group to which the person killed belonged? 8. (Para. D (II) (1) (d) and para. B (I) (2) (a) (i)) What does the Prosecutor state in relation to the Bush doctrine on the “war on terror”? Is it possible to have a global non-international armed conflict? How would you qualify the September 2001 attacks for example? 9. (Para. B (I) (2) (b) (ii)) How does the Prosecutor see the involvement of ISAF in the described conflict? Do you agree with its assessment that a multinational force involving 50 countries does NOT internationalize a conflict? Why/Why not? 12. When may civilians be legitimate targets of attack? Is there a clear line between taking direct part in hostilities and not taking direct part in hostilities? 13. (Para. D (II) (3) (b)) May any member of an armed group be targeted? Or is it necessary first to determine his role and status within the group? According to the Prosecutor? 14. Up to which level of command and responsibility is someone taking direct part in hostilities? Are armed groups’ leaders who order attacks legitimate targets, just as much as the persons who actually carry out the attacks? May any leader be targeted, regardless of whether he is a military or a political leader? 15. Once a person enters a “terrorist” organization, does he/she become a full-time fighter who may therefore be attacked at any time, even when not engaged in hostilities? When is such a person no longer a legitimate target? 17. (Para. D (III) (3) (b) (iv) and (v)) Are CIA operatives members of the armed forces? May only members of armed forces directly participate in hostilities? How can CIA operatives be held accountable in case of violations of IHL? What is the difference between the investigations that IHL prescribes and those prescribed under human rights law? How is the latter question relevant to the present case?